While listening to my friend today, the thought occurred to me, we are never truly alone. No matter how alone we think we are, someone sees and someone cares. I think back to all the times that I felt alone growing up, all the times that I felt like no one cared…it wasn’t true. My friend was talking about how she felt exhausted after such an emotional day. Things felt harder than usual and the simplest tasks were a struggle. On her drive home after this tiresome day, the school bus full of middle schoolers stopped in front of the Salvation Army and let this young girl off. As the girl walked into the building, she get tears imagining the embarrassment and cruelty of the kids on the bus. If only they had let her off a few buildings up or not waited until she had entered. She could only imagine how hard the next day might be for that sweet, sweet girl. If it bothered that middle schooler, as one can only imagine it did, she surely felt terribly alone in that long walk to the door of the building. She surely felt all eyes cruelly judging her from the windows. And yet, just beyond was a kind soul shedding tears, sharing in her pain. I think back to all those times I felt shamed as a kid, from the little boy making jokes about my bodysize in 5th grade to the mean shrew-like kid in 6th grade who angrily teased me after I won the quiz bowl. I can see her anger, shame and frustration clearly. I see with compassion that she stuffs the embarrassment inside, swallows it day after day believing everyone thinks as they do. But now I know, that wasn’t true. I wasn’t alone. I am there watching. When I tell this story, the listeners are there, with kindness. We are never alone. My adult self looks on with compassion and now, if I ever see this again, I can look on this sweet soul with compassion. I can reach out with kindness and hope to open their eyes to the rest of the world. I will know what to do, and for this I am grateful. Just breathe and remember you are never alone. With Reiki and Sound Therapy I have done deep work to release this younger part of me from the trauma. This is soul retrieval, this is repatterning my brain, this is also what I call time travel. Through journey work, Sound Therapy, Singing and laughter we can go back and heal, we can be our own best friend. Now is what matters and realizing we are never alone. For as long as I can remember I have ponder what I wanted to be when I grew up. I would lay in the grass watching the clouds knowing one day I would have to worry about paying bills, but not really sure what I would enjoy doing everyday. Everything seemed fun, I saw the benefits of almost every job! Now, after 18 years of Working in medicine, being with my husband and being blessed with two fabulous kind, loving children, I still struggle with what I want to do. I meditate for guidance daily, I journey to see my path more clearly and I work on manifesting a vibrant practice. And yet I just could never truly see clearly my own practice and promoting me. I need a team to promote. My technique with energy work, acupressure, and Vibrational Therapies to help promote emotional and physical harmony are on point. They are tremendously helpful. I know how they work and yet I do not feel ready to just promote me. I need to promote “us.” An “us” that I can believe in and see clearly. After realizing the importance of having a job to pay the bills while I learned how to passionately promote myself, I focused not on what I was doing but instead how I was earning money. This opened up everything. With that simple realization I was able to passionately seek working for a positive, upbeat team that could earn me a certain amount, allowing me to use my creativity, desire to help people, and mathematic skills to help my team be successful. This opened up so many doors as many things fall into this category. What a huge shift! Within a few weeks of realizing how I wanted to spend my day, I was able to connect with a company who would allow me to do all of these things. It has been such a magical experience because they even agreed to part-time, so that I could still focus on my Vibrational Medicine Healing Arts practice. In fact, the more that I help promote their business, the more that I learn about me. Reiki, Sound Therapy, acupressure, and aromatherapy are all super powerful, and I use all of these things daily. Once I shifted my focus from what I should do to how I wanted to do it, everything fell into place. If you too struggle with indecision for a career, change your focus instead to how you want to spend your precious time on this Earth…then go for it! Author Kimberly Naugle LongPosted on February 28, 2019 February 28, 2019 Leave a comment on It’s not what you do that matters but rather how you do it. Passion is key. In the last few years I have been working to heal my body from many different perspectives, using Reiki, acupuncture, aromatherapy, Sound therapy, yoga, and herbs. All these methods have improved my digestion, reduced my eczema, healed my annual winter bronchitis, and allowed for me to identify and release stress so well in my every day life. Even still certain imbalances remained, which made me realize a deep underlying belief or emotional pattern still needed to be released, but what more was needed? I was working towards building my own healing practice, creating safe places to share and learn techniques, spread the word of my methods, and yet I knew I was stuck, something was holding me back from complete healing…some eczema remained, slow digestion would flare-up, eating wheat would take me days to be able to feel again what foods nourished me. So clearly some aspect of emotions, spirit, and energy were still out of alignment with my well-being. Despite working to build my own practice in healing arts, I kept my job from my mid-twenties, where I earned my certification in Ophthalmology as an assistant and mastered many skills. A huge part of me felt the need to continue earning steady income to support my family while I also attempting to spread the word of my practice. What I didn’t acknowledge was the stress, frustration, and hectic pace of my anchor job took days of healing work for me to center and rebalance. So in my spare time, on evenings and weekends, I made space for my healing work. A part of me felt I needed to quit the old job to make space for the new, but first I needed at least three clients a week. I could have more time later once I proved my success, I believed. This left me no time for my family. They were left with an exhausted Mom, who was spent and irritable. How healthy was that? When I found out I was pregnant a few months ago, I was relieved, now I could quit my anchor job without regrets. Now I could focus on a baby, my family, and my healing arts job without feeling guilty. Now I could do what I needed, but first I would have to work the whole pregnancy to save money. I could take care of me and nourish me then once I was staying at home with the baby…right…always in the future. The real question I had to ask myself why did I not feel I could quit this job? Why was I holding on to it? Why did I not feel safe and supported enough to focus on a nourishing practice and my family? They were needing the attention from me, but I was placing them down on my list…and this was never my intention. My community I have created is loving and supportive, my family wanted me to put my efforts into my healing arts practice, and the only piece left that did not harmonize with my path was working in such a stressful, unappreciative environment 4 days a week. And yet I faltered. The day before my first ultrasound at 10 weeks I began cramping and bleeding. I knew something was wrong. I called out from work for the first time in years, and I tended my body completely for two days. The ultrasound confirmed what I already knew. I had a miscarriage. Relief and sadness washed over me in alternating waves over the next several weeks and then slower and deeper the next few months. I tended to my emotions, while pushing myself to show up to my old job everyday. I neglected my body, eating ice cream, drinking wine to unwind in the evenings. Eczema flared up in my face, no longer just on my foot where I could hide it. I gained ten pounds, then lost five, then gained ten. My digestion was slow and then too fast. Everything felt off. Reiki helped me tremendously during this time. My friend Kelli McConnell has made space to start her own practice from her home in Athens. I saw her weekly at first. The balance and restored energy was incredible. The eczema was stubborn though and after another stressful week at work flared up again 4 days later. I turned to my friend Kathryn Gillet for her healing work with acupuncture. This provided me with another huge shift and restoration of my health. My digestion was smooth and efficient. I could even eat meat with no tummy troubles. Yet the eczema remained on my face. I finally I saw that continuing to work at my old job, where my boss yelled at me -or whomever- when he was frustrated was not helping. He tossed his anger around like darts, and he was not safe. He represented the last challenge for me. What I finally realized was that I was hoping to change my boss. His anger issues mirrors that of my father and I wanted to help him. I was staying with the goal (not aware that this was my underlying hope) of helping him to see the importance of laughter and the value of a good team, working hard and having fun did not have to be mutually exclusive. Once I saw clearly what I was doing, then I finally saw how I was hurting myself. I am worth healing. I deserve to feel safe and not allow someone to yell at me and treat me poorly. Staying in this environment, I was giving permission to be treated badly. I finally saw that I had the power to revoke permission. I turned in my notice that following Monday. I needed to focus my energy towards my own dream and my own goal 100% and why not right now? Tomorrow is not guaranteed so it’s important to enjoy today. After this so much deep healing has occurred…I finally released the last block to my healing, I let go of my old job. I let go of familiar and guaranteed money. And now I am making space for my dream…my digestion is efficient, I am in-tune with the nourishing needs of my body. I can walk in my garden and snip the herbs that will heal me without hesitation…my eczema is fading, my clothing fits comfortably again. I feel the bright, shiny, radiant power of balance. I am supported. I feel destined and safe. I let go of familiar and made room, and that space has allowed me to heal. Hello world, I am ready. With my deep plunge into healing early traumas so I can be present for my kiddos, I have learned the importance of balance. That push to always be calm in an emotional storm, that desire to be free from self-judgement, or the goal of staying serene from moment to moment, is lovely but unrealistic. Finally I see that being human means allowing for the hills and valleys of emotions. My intention as I began with peeling back the layers of anger and quick frustrations I felt at my daughter, at my anchor job, at myself, were to bring a sense of control and freedom from emotions driving me. I wanted to stop blasting my family with anger gremlins and stop swallowing anger at work. I could see this was hurting me. My stomach, digestion was a muck, I couldn’t seem to balance that out, and I was having frequent eczema flare ups and allergies. But what I have realized along the way is not that I should stop these emotions, but rather breathe deeply and see them. Once I identify my feelings, I now use them for action. With a deep breath, a moment to dial back and observe my body, I can see underneath the emotion and see why I am upset. I can finally harness the reason and then breath and calmly explain my motivation and reason for feeling angry. This discovery has been huge but then there have been many set backs along the way. Where I have yelled at my kids and my spouse in anger…Or so I thought these were set backs. This is the hills and valleys of life. The truth is that I am human. One of the most incredible things about being a human is the capacity to feel. Our emotional spectrum is infinite in every direction. It’s a privilege to be able to feel so much. While I was not ever taught to identify my emotions, I have finally learned to stop judging my emotions as good or bad but rather learned to take time each day to step back and allow them to move through my body by witnessing them. It’s ok for me to feel angry. I know it’s ok for me to feel jealous. It’s perfectly human to feel spiteful. It’s ok for me to feel like being lazy. But what’s even better is to be able to see these feelings and not ignore them. This way they no longer control me. Instead I am allowing myself to use the energy the emotion gives me to dance, sing and write or even just lay down and stretch. Sometimes I just want to sit and watch a funny movie. All of this is ok. It’s been ride. And that’s ok too. The key for me is to make time daily to observe my emotions and be ok with feeling. So I see that the real challenge is being honest with myself and making time for me to see and acknowledge my emotions. No matter if I was taught these were ugly or bad feelings, I still need to make time to sit and see where I store them in my body. I see this now as my goal. I challenge you also to sit with your feelings daily. Watch them, name them, and ask why do I feel this way? Then see if you can feel where in your body you hold that emotional tension…usually it’s where you hurt or feel numb. So make time for you with yourself as a kind, loving observer everyday, and see what happens. The key starting is to breathe deeply and sit with yourself. Make space for you to belong in your body. Many blessings. Over the last several years I have propelled myself on a path of deep spiritual and emotional healing recognizing that my physical body was telling me to do so. I have suffered through many digestive issues over the years and tackled them in many different ways. In childhood I had frequent tummy pain which manifested in college as IBS. I had treated this through allopathic means of food elimination and allergy medicine. After many more years I discovered the depth of the problem was lingering and going deeper. With a voice healing session thanks to Dr. Damaris Drewery, a deep pain in my right-side was identified. Finally I decided to plunge deep into the spirit and emotional healing medicine as I have been promoting this as a powerful tool. For many weeks I worked the area with nightly self-reiki sessions while meditating, watching TV, and just resting. The inflammation of the area extended from my gallbladder area down deep into the groin area. It would soften and release through the gallbladder, and slow soften down through to my hip, but only for a short while. With acupuncture from Kathryn Gillet, we were able to warm up the stomach meridian and make my digestion for more effective and efficient. I could feel this was helping deeply for many days. Allergy symptoms did not happen this spring either and the pollen has been truly fierce. In a further effort to support my body healing and at Kathryn’s suggestion, I began making my own sauerkraut for a daily spoonful. That helped me very much also to maintain the improvements in digestion. And yet I felt there was more to uncover. The lifeline technique is another method I have been interested in as it combines various methods. Using Reiki, the energy meridians, element medicine, aromatherapy, color therapy and dousing, Lynn Louise Halverson was able to hit the root emotion of my illness. The feeling of being safe. Once we hit on that emotion, I felt a huge weight lift off my right side and warm energy ran from my tummy down through to my foot as well healed that deep, old emotion of feeling physically in danger. I hadn’t experienced that deep clearing sensation since my Biofield tuning session, well over a year ago. I have been searching for a method to clear and balance me as well. The radiant energy and warm feeling lasted for weeks. With concentration and deep breath I was able to restore the feeling of being “safe” easily. It was so amazing to experience as I had no awareness of holding anything in my right-side until we did the session. The fear of physical injury was buried deep within me. Anytime I am under stress, my side clenches and I hold my tension there again. If I do not acknowledge the stress and the feeling then I become very angry and resentful to my family. I am learning to see this as a red flag and step away and take my anger for a walk to uncover the root hurt. Since my new understanding of the feeling of being safe, which for me meant opening my stomach (mostly ascending colon area), I have been working the area with reiki, acupressure to the whole stomach and large intestine meridians, as well as with tuning forks. I have experienced a whole new understanding of the meaning of feeling safe. When I am out in the office, I can touch base and with a deep breath release that tension I am holding there. When I am out shopping, I find myself holding onto the energy there again. With a deep breath, I release. Same for when I am driving. This has been a fantastic discovery and such an empowering release of this deep achy feeling. I imagine that as this has been a pattern of holding for more than a lifetime, it will take awhile to release, but it has shifted how I see my interactions with people, my elders, my friends, my kids, my husband and my parents. Finally I understand actually feeling safe in my body and it is wonderful! I plan to continue working the energy meridians and most importantly, having others work on me. Giant leaps in healing occurred the minute I asked for help. I love really feeling safe to do so. Since then I have had several sessions with Dr. Janet Cheng and her light-touch chiropractic. She is an energy worker and combines it wonderfully with chiropractic. I have experienced wonderful things in session with her. I had shoulder trouble begin after backpacking my 5 year old around Disney for several days and Dr. Kathryn Gillet suggested chiropractic after she was unable to move the shoulder issue with acupuncture. Janet just radiates the feeling of being safe so well, it’s quite wonderful. Another wonderful set of practitioners, everyone should have the pleasure of experiencing is Heather Ryland combining her shamanic Karuna Reiki sessions with Nalu Ma’s cranio-sacral massage work. Together they moved mountains and allowed me to see clearly what I needed to do to move forward in wellness. Author Kimberly Naugle LongPosted on May 16, 2018 Leave a comment on Feeling Safe- what does that truly mean? I am feeling blessed to host another Holistic Healing Fair in Athens, GA today. The line up for today’s event is spectacular. The event starts at 12 and ends at 5. There will be ongoing Reiki circle in the conference room hosted by Martha Cook, a Karuna Reiki Master, Karen Cosgrove and a few others. Martha will also bring her crystal singing bowls. These instruments can realign and clear the chakra centers if played and felt with intention. Please visit this uplifting area! In the main room we will host more merchants this event. Come shop for your mom! Vanmala Melvin will sell her belly dancing clothes, jewelry, deity tapestries, purses and parasols. There will be many vendors offering personalized aromatherapy blends, local honey, and more. RockBelly our local supplied of all earth gems, will be offering crystals and rocks and more for sale. Heather Ryland and Helicia Escoe will be offering reiki infused salves, lotions and body sprays as well as sign up for sessions and apprenticeships. Toni will again be hosting an area for meditation mandala drawing and coloring along with education on nutritional supplements and Nerium skincare. The practitioners offering information on their services and individual sessions are a combination and familiar and new faces. This event we will have Jody Jacobs a certified HearthMath practitioner, offering biofeedback sessions. I am super excited to learn more about this. Alicia will offering foot zoning with aromatouch, similar to reflexology with essential oils. We will have a Breathwork therapist from New Zealand who is new to our area, I am excited to learn more about this technique also. My offerings for this event are intuitive arc angel oracle card readings, aromatherapy blends, acupressure and tuning fork therapies with some reiki as indicated. So many offerings at this event, you won’t want to miss it. At Serenity Attunement, I use Usui Reiki, Karuna Reiki, Reflexology, Aromatherapy, Acupressure which are all forms of energy work. I love offering as many options for energy work as this is the foundation to healing the body. Old healing practices understood this and targeted restoring balance and harmony in the field of the energy body which allow the physical body to heal. The old ways acknowledged the spirit body as key to healing. I see how this is intrinsic to heal over and over. Combining old and new techniques in healing are a wonderful way to honor the wisdom of the ages while bringing a client into balance within the understanding of Western our culture. As I learn Sound Healing Methods like Biofield Tuning, Usui Reiki, and Karuna Reiki, I have uncovered much in myself (and it seems that life will continue to uncover these moments) of past emotional trauma. The more I work, the more love and compassion I feel for how tough it is to be alive today. The simple daily accomplishments of times past are no longer viewed as important or worthy. We are expected to do so much every day on our own: be financially successful, run a household, raise children and manage to fix and maintain all the gadgets that allow one to be super human…how intimidating! Feeling super independent all my life has been a gift but also a curse because I never asked anyone for help. I believed it was up to me to grow up, leave my family, and create a whole new life for myself. I had friends but never thought that I would include them in helping me be successful. I never asked for help with laundry if I was sick, asked for help with meals if I were buried at work, asked for help with the car if it was broken, or admitted I didn’t know how to do something. I just never considered it to be an option. I felt completely unsupported and separate from my family, and yet never included my friends in asking for support either. Much of this was self-imposed and the energetic imbalance shows up all over the physical body. My back would hurt, and I would unconsciously hunch over in a self-protective stance that hurt much by the end of the work day. The area for feeling supported energetically and spiritually is the back. I judged others who received help from their families to be weak, while also feeling jealous of their team of support. As I got older I happily helped a sick friend but never asked for the same. That was such an imbalance. I just couldn’t allow myself to be “weak.” That belief was deep, and I didn’t even know it was there. During the first session in Biofield Tuning, the amount of work done in the Sacral chakra that ties in with shame was tremendous. My lower back and right hip were constantly hurting me at the time. I had no idea how many limiting beliefs were stored there and locking me in a painful position of thinking I had to do too much all the time. My detox after the session was pretty intense, but I was so amazed at how light I felt. I could stand straight and tall easily and my digestion was excellent. My right hip did not hurt anymore. With learning about the anatomy of the energy field around the body and where we store things emotionally, I have learned a great deal about our culture and how weird it is. We are taught to value being alone and not sharing, as community living prevents material gain. I valued being strong and silent. I valued helping others, but I never valued asking for help. The imbalance is super clear to me now. I was being superhuman. I didn’t allow anyone to see my humanity. Being independent so fiercely, I cut myself out from a stronger network of support. The realization that by never asking for assistance, I keep myself isolated appeared only recently. Allowing myself to be honest about needing help is still hard for me, but I see how important and empowering it is. When I ask for my kids to help me, I give them room to be a provider. They feel super empowered to help with even little things. This gives them space to grow. Same for my friendships, it is as important to give as it is to receive. I understand that now on so many energetic and physical levels. Feeling supported can come from not only my immediate family, but also from my surroundings. The Earth beneath my feet supports me, cleans the water to drink, nourishes food to eat, the sky provides air to breathe, and the sun to grow food. All of this supports me and helps to keep my physical body balanced, as well as my energy body and spirit body. You are supported all the time, too. What a beautiful thing. Once I understood this, I realized that even without family being present physically, one can experience support. We have true abundance at this time. Basic physical needs are so easily met and that is worthy of gratitude and acknowledgement each day. Love and gratitude is such a balancing and empowering feeling. Take breaks today to express love and gratitude for all that is around you…and you will feel the difference. I know I do. 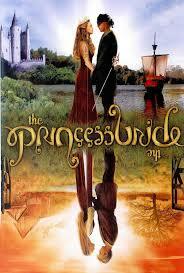 As I go deeper into understanding my emotional signature, I understand more of my favorite movie as a kid. “Why are you so venom and mean?” The Princess Bride will always be one of my most favorite movies for the magical lines of wisdom scattered throughout. It is time for us all to collectively peel off the anger and walk with it for a while. Why are we so venom and mean? Ultimately it is because we are hurting. We are all separate and more alone now than ever. Computers and phones are fast replacing our real-time friends. But now more than ever the importance of self-reflection before lashing out is paramount as face to face time grows less in our computer age. My journey to understand my emotional reactions stems from my desire to be a healthy role model for my children. I wish for them to have the tools to fly out from my nest and navigate the rocky terrain. I hope to be able to show them that hurts do not have to be permanent damage. My goal is to become well and have tools to process emotions so that I can teach them to do the same for themselves. My family unit was broken as a child because my parents were broken. Lash outs were pretty constant and the fear of being yelled was ever present and shaped how I stepped out into the world. My father was never really seen by his father who was angry and lashed out at him often. My father did the same and hated himself for it. My mother was distant as I became a teenager, consumed by her unhappiness and feeling alone. Tools to process emotions were not very available, but luckily I had no access to drugs or alcohol. I just surrounded myself with good friends. Once I was out in college my motivation slipped. I saw people who were so present and happy and comfortable with everyone. They were magical. I wondered how they stepped out into the world that way. What was their magic? Hunch-punch? That beer? I tried it all on a quest to be the magical person who could captivate others…and then I learned to love me. Self-love was there for certain parts of myself. My smile, long hair, my love of glitter and all things colorful, helped me to feel certain of my value being somewhere in the middle. The “bad” parts of me I tried to exercise or exorcise away…until I met my husband. He helped me to love all of me. And then we had children. A whole new level-up occurred in self-discovery. The ages of my daughter helped me to realize the ages of myself that I judged the most as “bad” truly started at age 8. I found myself angry at her without any justification. I found myself judging her and saying things that I would never want to say…until I sat with that anger and judgement. Where did it come from? I looked deep at myself and saw it all came from me and how I hated those awkward stages-in myself. I released my mom from resentment for not being the loving guide to hand me all the tools I needed (who can really do that anyway?) and I learned how to do it for myself. I visited all my younger selves and showered them in love as I looked back at those awkward moments…and I healed. Now I look at anytime I feel anger as an opportunity for self discovery. It truly is peeling the layers of an onion, (my oldest daughter is 10, I can’t wait to see what age 14 will push forward for me to heal-insert scared face here). Recently I was trying understand why I’d get so angry when cooking dinner in the kitchen. My husband prefers to be alone cooking but I get angry. In comes the realization I want to spend time with my girls and resent them being off in la la land with their screen. I want to be included. But not inside. Inside is my kryptonite after working in an office all day. So now, sometimes, my daughter makes sandwiches while I get the campfire going outside. Sometimes I am OK with peanut butter and jelly for dinner. Sometimes I just need to let go of judgement and let it all go as we spend time in the yard. Outside is where I can feel balanced and free. I am working hard to be as present and honest as I can be in order to help my kids grow in a balanced way to step out into the world whole. Sometimes I just have to go outside and let it all go…and now I understand the beauty of the simple sayings. I challenge all of you to dig deep when you get angry and look at what you are hiding. Take your anger for a walk outside and see to what it is you need revisit with love and say “as you wish” because really, all we need is love…self-love is all we need. We have all heard of the basic emotional connection with the different chakra centers. Third eye ties in with intuition, further up the crown chakra connects with the divine. The throat chakra ties with speaking your mind and speaking your truth. The heart chakra ties in with feeling love and support and so on…but truly this is such an over simplification. As I have been studying the biofield anatomy as mapped out in Biofield Tuning, it appears to me to prove to be far more complex and individual. The therapeutic notion that emotions must be felt, acknowledged, witnessed and given space to pass through the body has been proven to me over and over again with each client. The act of judging our emotions and hiding them away is what causes the most damage and trauma. I have learned the art of seeing my most uncomfortable emotions and give that feeling space. This lesson has been huge for me in transforming my health. For years I had slow digestion. Food would sit like a rock in my tummy for many hours. I was learning to connect with my stomach and truly feel hunger before eating and I realized that I could go for a full day or longer at times, without being hungry. When I saw a commercial for a pill one could swallow to fix slow digestion because there was a new disorder named for that problem, I knew I needed to work on me. With a few biofield tuning sessions, my digestion improved tremendously, far more than when I was doing reiki on my tummy alone. Then I learned Acupressure and was able to tap into the deeper emotions at the root problem. Reiki on my solar plexus chakra when I felt so full, would cause lots of tunny gurgles and slowly move things along. With Biofield tuning I felt the whole system clear. I was so excited! I began to see the thought patterns and ways that I judged myself when under stress. I could see myself holding onto and swallowing emotions of hurt or embarrassment. I finally saw clearly as an observer, how to identify the root emotion so I no longer had the defensive anger overwhelm me as I hid the hurt in my tummy. I learned not to judge the emotion, but instead identify the feeling, see where it affects the body, and allow the wave of emotion to move through me while breathing deeply. The feeling moved through so quickly and with very little pain. The fear of that emotions was what had my digestion frozen for so long. By learning to observe emotions and not judge them, I am empowered to live well. With acupressure I also learned how to help my solar plexus open and balance with the whole digestive system. The acupressure points through the center line of the body starting with the stomach, to the area just above the belly button and just below the belly button have been a invaluable tool for me. I have struggled with puffy tummy also and working these points daily before and after meals has helped to completely flatten my tummy. I have connected with my stomach and liver before and after I eat and learned so much about the marvelous body. I would next connect with the small intestine point just above the belly button. I learned that tenderness there was from slow digestion causing inflammation over the years. After 3 months of working that point a few times a day, all the tenderness is gone! The next point below the belly button is to tone the large intestine. This area was always a bit slow for me but since working the two above points, I managed to balance the large intestine meridian as well. Around the torso we can find grief, anger, resentment, shame, as well as lack of support. I find the Solar Plexus and Sacral chakras to be combinations of emotions and not just a simple, “this ties in with grief.” The grief emotions ties in with how you treat yourself and your deep desires. If you continually berate yourself or deny yourself fun-time, then you will be in a state of emotional grief much of the time which affects the left-side of the body as well as the back. The left hip will be tight which causes lower back pain. This many times corresponds to how you saw your mother treat herself a well as other women in her life. This area for me was congested because I learned to run from confrontation. While I love my family, I do not love their behaviors. I no longer hate their behaviors. I accept their humanity. My rage-filled father taught me to hide from anger. I learned when there was that certain tone in a voice, I should hide. The knee-jerk fear and then anger to having my feelings hurt I fought with for many years. I felt my stomach clench in fear at the idea of confronting someone when I was hurt. Decades of hiding my hurt in my tummy caused my digestive paralysis. Instead of trying to fight off the fear and anger, I learned to see it and feel what it did to my body. I learned to “sit with it” for a few minutes and reflect on why I was reacting that way. It opened up my Solar Plexus on so many level by becoming aware of the root reaction. With compassion for my inner child who hid in fear, I saw and embraced that emotion. I still fear confrontation but now welcome fear to join me. This means I am doing the right thing. My goal is to help everyone become emotionally fluent. I want everyone to be fully in the moment. From that position we will all be able to communicate our emotions in an honest and powerful yet humble way. What a beautiful present!!! Healthcare today is a very tough road to travel. Health insurance premiums are through the roof while the deductibles are sky high. Prescription medications cost hundreds of dollars for name brands and some generics have questionable components and efficacy as they are made across the globe. People who truly need the insurance cannot afford it at $2,200/ month for one with pre-existing, and what it ultimately looks like down the road, is a single payer system and the rest will be returning to cash pay. As for now, there are a few good alternatives coming to the front for those who are somewhat healthy and need the emergency things covered. Healthshare programs are religious-based community cost sharing groups. You pay in your monthly share amount and then when you need your annual physical, the group shares the cost and covers it 100%. The option we chose was a $1,000 deductible. You do not have to pay the tax penalty for no health insurance through the religious exemption. The programs typically do a monthly newsletter. They post statements about to whom the monthly shared amount went and you can offer them words of encouragement. Healthshare programs have you pay in for high-risk behaviors (smoking, obesity) to a healthcoach who calls you routinely to help you improve your lifestyle and once you graduate, the extra fee is gone. Costs here are $199 for one person and $299 for a couple, and $399 for family with kids. These rates stay the same annually. I do not know if they offer this rate per couple for unmarried folks. The one we use is Liberty HealthShare. My friend has found an online doctor/nurse practitioner program for women. They offer birth control refills, prescription medications, and health checks online for $25 for women. Mavenclinic.com/welcome and use her code TEDDYVIP for a free session. This is what I will be using until the new year as my deductible had not been met this year. What a great option for when you cannot afford a babysitter in order to go the doctor either. A cash pay rate at any doctors is between $80 at the walk-in Kroger clinics, to $150 for a doctor exam. So for now I see this online program as a great alternative. With no prescription coverage, you can use the websites or programs that offer generic medication price reductions and will cross check the costs by all the pharmacies in your area. I use goodrx.com in order to price check the medications that are needed and find the best price in my area. It is a free program. If you are needing name brand prescriptions, please check online with the drug company themselves, as they routinely offer coupons online for their product. The doctors offices hopefully will have coupons to give you as well to help offset the costs. I recommend using walk-in clinics when you have no health insurance, but price check the Grocery store walk-in medical clinic versus the hospital network walk-in clinic to be sure you get the best price. Do this before you get sick. They tend to manage the emergency bronchitis, strep throat, sinusitis, flu, and cough fairly well. Be cautious, because you may be given more medication that you need. My husband tore a muscle in his back and was given 3 different pain meds and Naproxen sodium. Had we not looked up all the medications, he may have over dosed between the muscle relaxer and the narcotic that he was given. Be mindful that you will frequently be given a full arsenal to attack when perhaps all that is needed is an inhaler. Be smart in managing your own health. I highly recommend becoming familiar with early virus control through herbal remedies, elderberry syrups, local honeys, clean home and diet. Homemade chicken broth works wonders as well as bone broth for helping to manage the change of the seasons. SLow cooked veggies in the broths help to fill bellies. Avoid dairy and minimize sugar during these transitions as well to help reduce the sticky wet that collects viruses and bacteria in the digestive system and airways. Keeping the air in the home clear of particulate is also very helpful with having a clean vacuum to use and wet mop the floors instead of sweeping the dust into the air. Keep a clean pillow and sheets. Using a good quality essential oil in the humidifier or air purifier can be a tremendous benefit also. Eucaluptus, lime, cinnamon, rosemary, and thyme are all effective at breaking up congestion. Before you have to jump into antibiotics from a secondary bacterial infection after a virus, try a few things as prevention early on. Use saline drops or spray to rinse the sinuses before you sleep. Take an anti-inflammatory like ibuprofen, aspirin, or Naproxen sodium to prevent the swelling that traps the mucous that grows the bacteria. Use this around the clock for a few days to prevent acute stage while also drinking warm herbal teas. Hydrate and rest. Adding some local honey and fresh squeezed lemon is helpful also. Go to bed early after you have a nice bath to loosen up any congestion. Stay away from news media. Keep your mind and spirit calm and peaceful to support the body healing itself. This is my small survival guide for now. Don’t forget the importance of stress management and learning emotional fluency. Identify feelings, acknowledge, sit with them, and breath-life in, stress out. Good luck and feel free to offer updates and suggestions as you find them! Recently I was fortunate enough to receive a wonderful acupuncture session from Kathryn Gillet at Jade Spring in Comer, GA. The energy movement was incredible and I loved the way the energy moved synergistically through the different points while I rested. The session allowed me to further define what it is that I do. I believe that with reiki and the tuning forks I have learned a way to access the energy within the body through acupressure and acutuning. Working this area first allows me to create space for cleaning up the emotional house from the past. Once the body is clear, the client then is in a position to allow deeper work down in the energy field surrounding the body. The area surrounding the body truly does hold information about how we learned to process or handle events and interpret them as a trauma or judge the feelings and create trauma. This is accessible through hearing the variation in vibration of the tuning forks or feeling the variation in the sensations of reiki “hibikis” or “areas of disruption” extending out from the body. The healing process is far more effective if we are able to tap into the earliest moment the pain or emotional injury was sustained and perceived as “bad.” Once we can hit that original frequency and heal it through suggesting a new narrative and story that empowers the client, then we can work together to free the past self from that painful moment and literally move forward in towards the body. It seems as though the emotional events pull at the charka that is associated with that emotion and dislocate it off to the side which is energetically exhausting. Now the map of emotions and where they are stored off the body created by Eileen McKusick is pretty right on. I have discovered the right hip is also the area for self-berating and self-shaming. That eternally frustrating dialogue, “now why didn’t I do that?” and the “if only I had said this…” goes here and can flare up often. This is not just the hip of overdoing. How people store these emotions can be pretty unique as shame can literally pull on almost any chakra. 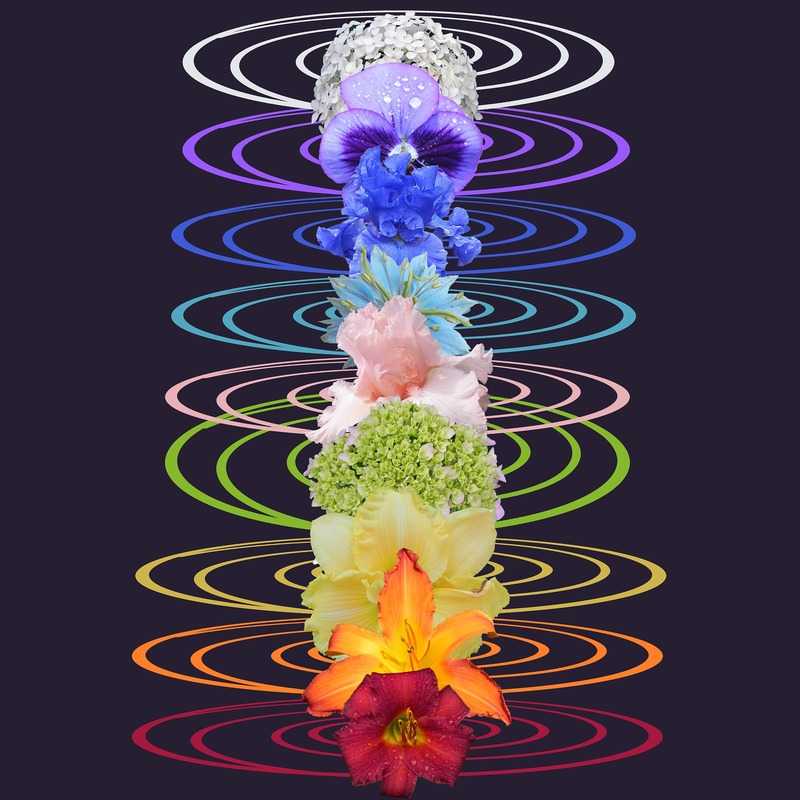 So the goal with both methods is to realign the chakras so that the energetic vibration is lighter and elevated to allow for maximum efficiency and good energy. First Annual Holistic Healing Fair and Holiday Market. It’s going to be great! Here we will feature the Holistic Healing Network of Athens Area (HHNAA) heart-centered practitioners in person offering their wisdom, gift certificates for sessions, and handmade goods for sale. We will have many practitioners demonstrating aspects of their services from massage, to acupressure, sound therapy with tuning forks, reiki, aromatherapy, tarot card readings, hand-made lotions, salves, and oil. This is a great opportunity to meet the fabulous empowered providers we have in the Athens area. Come see this wonderful community we have here in town! Rebecca Shisler Marshall -certified Martha Beck life coach, Yoga instructor, with training in Mindfulness and Reiki I and II. She is also a professor at UGA in speech-language pathology. When I hear comments about the Earth and how we have ruined it with the pollution, global warming, and fossil fuels, I can’t help but feel frustrated. All throughout my youth I felt the overwhelming evidence of doom and despair. And now with the looming water crisis I feel it strongly again. With more maturity I have learned it is my responsibility to be mindful each day on my connection with the earth, air, water, and sky as well as animal, plant, and mineral and this will bring about a change for good. If I look to the lessens of my ancestors, I can learn how to strengthen the spirit of all connections which helps everyone, as we are all connected. As I first stepped onto the path of learning the ways of my ancestors, I had a big of concern for being a step into the unknown realm of spirits. The pagan methods had an element of magic that concerned me because I do not have a deep cultural background in this to guide me. After a few journeys within and wakeful, dreaming I realize the common message people are receiving. There is a battle happening. It is between disconnect from the fabric of life and wanton destruction for a facade of power and the return to reverence of life in everything. The power of connection to our roots empowers a return to balance and harmony on all levels. How that affects me is to see the need to ask permission of the plants before I harvest them and offer my thanks for their bounty. I must talk with both my plants and animals so they feel my intention in my actions. Singing is a much more powerful communicator I have learned. Also I must work with respect for the wood as I hammer and chop. With acknowledgement of the sacrifice of each item involved in my life, then I can empower the balance to return. In this I can feel the return to balance I see and acknowledge the element of life in all around. The divine is here. With acknowledgement and respect brings empowerment on the personal level with emotions and worldly level with other interactions.